At Amazon's launch event today in Seattle the company announced its first DVR called the Fire TV Recast. 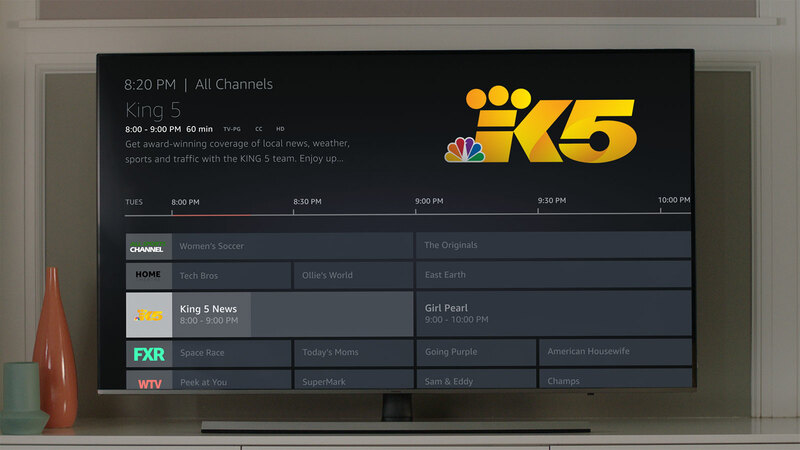 There's no cable TV tuner built-in, so the channels available will be the ones you can access with a connected over-the-air antenna (like ABC, CBS, FOX, NBC, PBS or the CW). Also, since the Recast doesn't plug directly into a TV, you can place it anywhere in your house to get the best reception, which the app can also help you determine. It then beams your recorded shows or live TV anywhere through your home to an Echo Show, Fire tablet, mobile device (iOS or Android with the Fire TV app) or a Fire TV device. You can also take your recordings on-the-go with the Fire TV app. You can also use Alexa with Fire TV Recast. The smart assistant can search for shows, browse the recordings you have on the DVR, change TV channels, control payback and manage and schedule recordings. There are no monthly fees, but only one Fire TV Recast can be registered per Amazon account. The device is made for people who've cut the cord, but still want to get network TV shows or sports broadcasts to go along with streaming services like Amazon Prime and Netflix. Others like Tablo and Simple.tv have offered "headless" OTA DVRs before, but attaching Amazon's name and Alexa technology to the device -- and boosting its promotion in search results -- could increase its appeal. You can pre-order today, with prices starting at $230 for two tuners (recording two shows at once) and 500 GB storage space for up to 75 hours of HD programming. A Fire TV Recast with four tuners (that can record four shows at once) and 1 TB is available for 150 hours of HD programming as well for $280, with deliveries expected to begin on November 14th. Update, September 21st, 8:40 AM: This article was updated to reflect the DVR's on-the-go capabilities.